Dr. Bercovici is a Senior Research Scientist at the Batzoglou's lab. By applying a probabilistic approach to problems in human genetics, his research aims at unveiling the hidden relation between ancestry and genetic disorders. The methods developed offer new ways to predict inherited risks of diseases, with implications on preventive and therapeutic solutions. 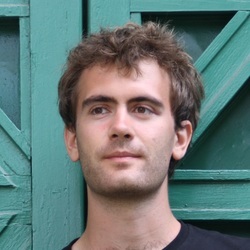 Dr. Bercovici completed his Ph.D. at the Computer Science Department, Technion - Israel, under the supervision of Prof. Dan Geiger on the subject of Mapping by Admixture Linkage Disequilibrium. 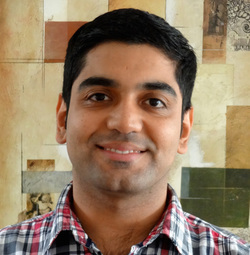 Sivan is also CTO and Co-Founder at Lifecode. Alex is a Computer Science PhD student. His research focus is in developing algorithms and statistical methods for leveraging read cloud technologies (Moleculo, 10X Gemcode) to uncover hidden genetic variation in the human genome. Tingting is a first year graduate student in Applied Physics at Stanford University. Before this, she did her bachelors in math and physics at the University of Pennsylvania. She is now transitioning toward a computational path and aims to apply CS to problems in biology. Iman Hajirasouliha's research focuses on developing and applying algorithmic and mathematical techniques to big data in genomics, including algorithms for next-generation sequencing (NGS) data and cancer genomics. He has developed several novel methods for detecting structural variations in sequenced genomes. More recently, he has been focused on algorithms for analyzing intra-tumor heterogeneity and somatic mutations in cancer genomes. 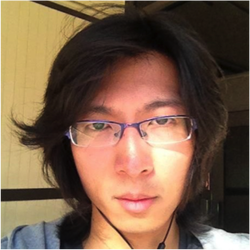 Lin's work focuses on developing high-throughput algorithms for population genomics. Her primary focus has been identification of variants and genotyping of a population of sequenced individuals, and in leveraging existing sequenced populations to impute newly sequenced individuals. Her methods leverage linkage disequilibrium in practical ways that enable ultrafast and highly accurate population genotyping. Volodymyr is interested in applications of artificial intelligence to genomics and healthcare. His work has focused on several topics: improving DNA sequencing technologies using statistical methods, analyzing human microbiomes by leveraging new sequencing technologies, inferring the genetic basis of disease, and developing new machine learning techniques motivated by these problems. Yuling is a PhD student in the Department of Chemistry. His research focuses on the development of statistical and machine learning methods for leveraging read cloud technologies to identify complex variation such as repeat variants, copy number variants, and structural variants in the human genome. Cathy is a visiting scholar from Huainan Dongfang Hospital, Anhui, China. She was enrolled in a joint training PhD program between University of California, Davis and Zhejiang University, and received PhD degree in Plant Pathology from Zhejiang University in July, 2015. She is working on analyzing recurrent mutations in cancer cell lineage phylogeny trees obtained from multi-sample sequencing data. Victoria is a PhD student in computer science. Her research interests include cancer phylogenetics, compressive genomics, parallel algorithms, GPU computing, and security. Prior to Stanford, she received an MEng degree in computer science, and BSc degrees in computer science and mathematics from MIT. Bo is a PhD student in computer science. 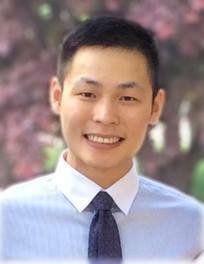 His research interests include machine learning, computational biology, computer vision, and data analysis. He is currently working on single-cell RNA-seq analysis, cancer subtyping, 3D long range interaction modeling, and gene function prediction. These projects involve a wide range of machine learning techniques: deep learning, network analysis, factor analysis, and convex optimization. Prior to Stanford, he received his master degree at University of Toronto, majoring in numerical analysis. Jason is a PhD student in the department of Electrical Engineering. He is currently working on sequence alignment algorithms for read cloud technologies and statistical learning methods for single-cell RNA-sequencing. His interests in computational and statistical genomics span applications from cancer biology to metagenomics to population genetics. Prior to Stanford, he studied at Olin College, where he conducted research on topics in signal processing, wireless communications, stochastic geometry and graph theory.